Billionaire investor Nelson Peltz won a preliminary recount of a board of directors election at Procter & Gamble. The investor wants to shift, but not radically change, P&G’s strategy. Whether Peltz comes out with a board seat or not, the company is set to be on a path higher, according to one analyst. 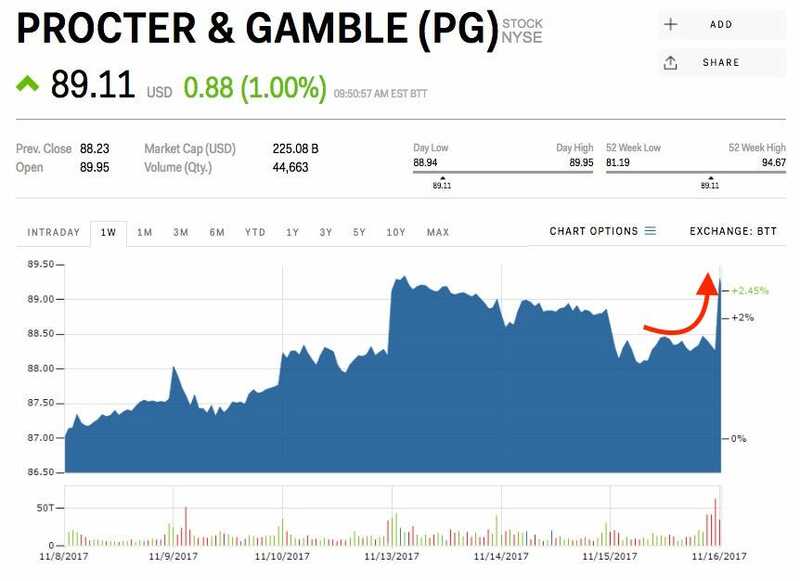 Watch Procter & Gamble’s stock price move in real time. On Wednesday, a recount of votes in a board of directors election at Procter & Gamble reversed the previous outcome and gave activist investor Nelson Peltz a board seat by the narrowest of margins. 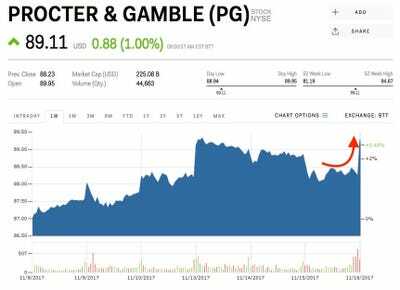 Shares of Procter & Gamble rose 1.07% to $US89.17 after the results of the recount were released. Peltz won the recount by about 43,000 shares or just 0.002% of the total vote. The results are not final, and a certified report of the result is set to be released in the coming weeks by the firm conducting the recount. “We view P&G’s strategy to be appropriate and its management team as extremely capable; however, we also believe Mr. Peltz’s involvement – while an unwanted distraction from P&G’s perspective – sets up a ‘win-win’ for its shareholders,” Kevin Grundy, an analyst at Jefferies, said in a note to clients. Grundy argues that either way the final vote goes, Procter & Gamble has a strong future ahead of it. With its current leadership, the company could continue to deliver at or slightly above Wall Street’s expectations without radical changes, or Peltz could gain a board seat and ask for a few changes that would return more value to shareholders. Either outcome is good for P&G, Grundy says. Peltz’ plan for P&G does not involve radical transformations. Peltz says he mostly would like to increase accountability and transparency at the company, rather than ushering in a new financial structure, Grundy said. Because of the two positive paths forward, Grundy is bullish on the stock and rates it a buy with a price target of $US99, about 10.9% higher than the current price. Procter & Gamble is up 6% this year. Read more about Proctor & Gamble’s proxy vote.